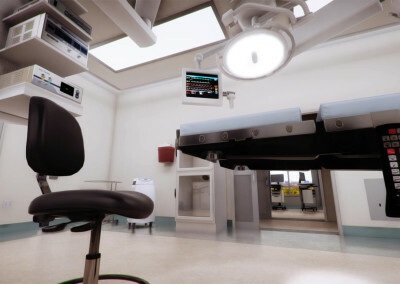 Medical environments in virtual reality have become increasingly common, with numerous applications being developed for doctors, nurses, students and researchers to explore realistic environments for training and simulation. Arch Virtual creates these environments, which can be layered with a variety of interactions and content, depending on the use case. 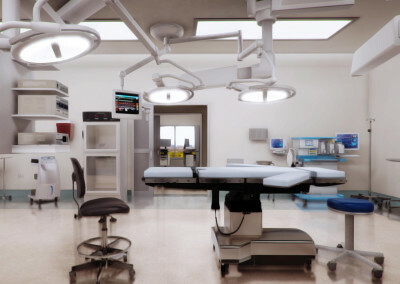 Each piece of equipment is modeled in painstaking detail, based either on reference photos or Revit models provided by the client. We then enhance these models with as much detail as possible, while remaining mindful of reaching our performance targets in virtual reality. We have effectively eliminated motion sickness through a variety of advanced navigation methods. This includes ‘comfort mode,’ with ratcheted strafing and rotation, as well as blink-based teleportation that fades to black briefly while the player is moved to a new location. 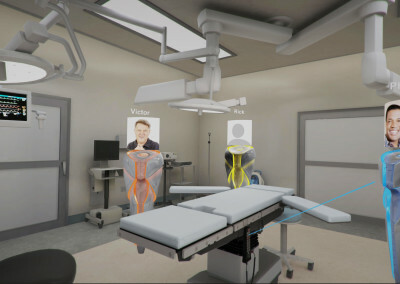 By removing any sense of vection, players are able to navigate the VR application comfortably. We have also made navigation easy and intuitive for new users, especially those who have never played a video game or used an Xbox controller. By integrating Immerse Collaborative system, we are able to invite multiple people to explore the same environment together simultaneously. 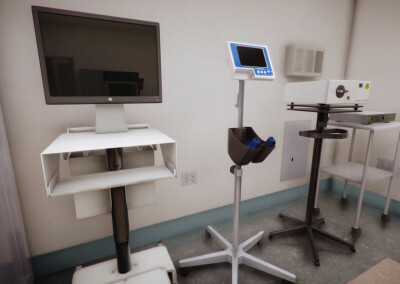 They can walk, talk and point at things with a laser, which is perfect for medical training and health care simulation.